I develop practices for effective cooperation, with a focus on post-consensus decision-making. 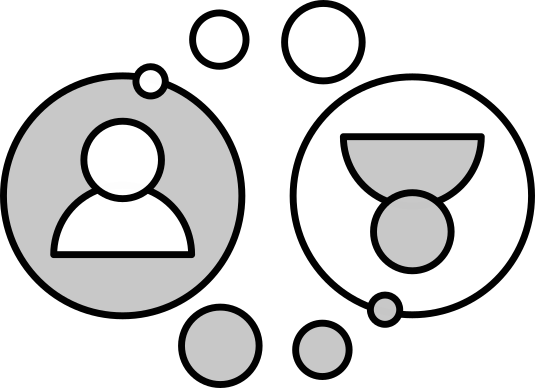 Consensus decision-making has become a go-to method for groups wanting to decide cooperatively. However it becomes increasingly difficult to achieve the conditions for success when groups get bigger, more diverse or dynamic—even groups which have the conditions for consensus can fail to reach it. In the presentation Post-consensus, cooperative decision-making, I explore why modified score voting is cooperative and how it can be used to make decisions when consensus isn't possible. Ukuvota is an open-source web-app which implements all the features outlined in the presentation, developed by Wolfi. I co-founded Kanthaus to create a place for people to live and work together in a way that is social, ecological and economical. Together we are figuring out how to share a home and support each other reach our goals. Kanthaus doubles up lab for me to trial organizational innovations on willing subjects. A common house is owned, used and maintained by the same group. Common houses are great—and come with their own set of challanges! I wrote a constitution for Kanthaus largely based on Elinor Ostrom's research into how commons succeed (or fail). A copy is now collectively developed by the Kanthaus members: Kanthaus Constitution. I believe that life is an absurd gift; my gratitude for receiving it is my fundamental motivation for the work I do. I want to help make life as excellent as possible for all that (will) live, which firstly means reducing unnecessary suffering. Thankfully, there are already a lot of people already doing something to make things better/less bad: some occupy trees in threatened forests, others distribute surplus food before it's wasted, yet others consider how to ensure AI becomes a benevolent force. You might assume that people working for the common good must be cooperating: after all, many of the issues such groups face are caused by a lack of cooperation in the first place. However—as I've repeatedly experienced over several years—while most groups are theoretically cooperative, many fail to bring their theory into practice. Failure to cooperate creates new issues for groups, sometimes so many that groups just split up! The frustration of repeatedly finding groups that wanted to cooperate but failed to do so lead me to study a variety of topics, with the philosophy of science by Karl Popper and the empirical analysis of the commons by Elinor Ostrom being particularly influential. I decided to focus on decision-making (no pun intended) since I've found it to be the practice which groups struggle with most. I was born and brought up in Scotland. My parents took my brothers and I to 'non-Western' countries when we were young. I read a book about a man who decided to live without money ('The Moneyless Man' by Marcus Boyle) when I was sixteen, which made me ditch my 'get-rich' plans. While studying Chemistry at Edinburgh I discovered student activism, coops and other such things. I worked for a multinational spirits company for a year, investigating the how process variables affect Scotch Whisky flavour. Before my degree ended, I realised I didn't want to start a commercial job or do a PhD. Actually, I wasn't sure what I wanted to do, so I planned to work-exchange and hitchhike around Europe. Two weeks into that plan, I happened to join the beginning of the yunity project. 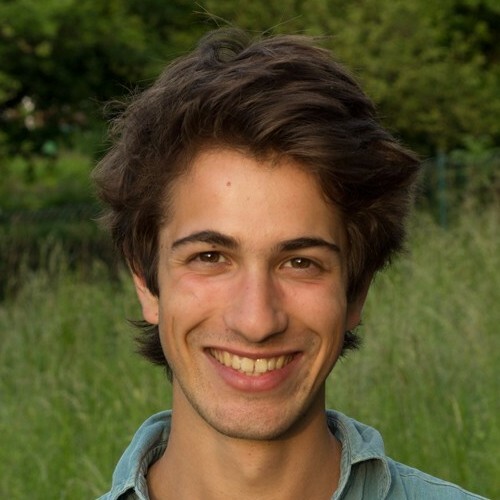 The idea was to recreate the successful foodsharing.de web-app as an open-source, multilingual and extendable platform to enable the foodsharing movement to grow. My time with yunity was quite extraordinary: we hitchhiked from one work-sprint to another, we were gifted accommodation and rescued most of our food from waste. I blogged about the first year. Due to a variety of factors, the scope of yunity grew ever larger and the productivity towards the initial goal ever lower: with some bemusement I observed a team become a network. A number of people I'd met along the way wanted to continue doing project work with a bit more stability. 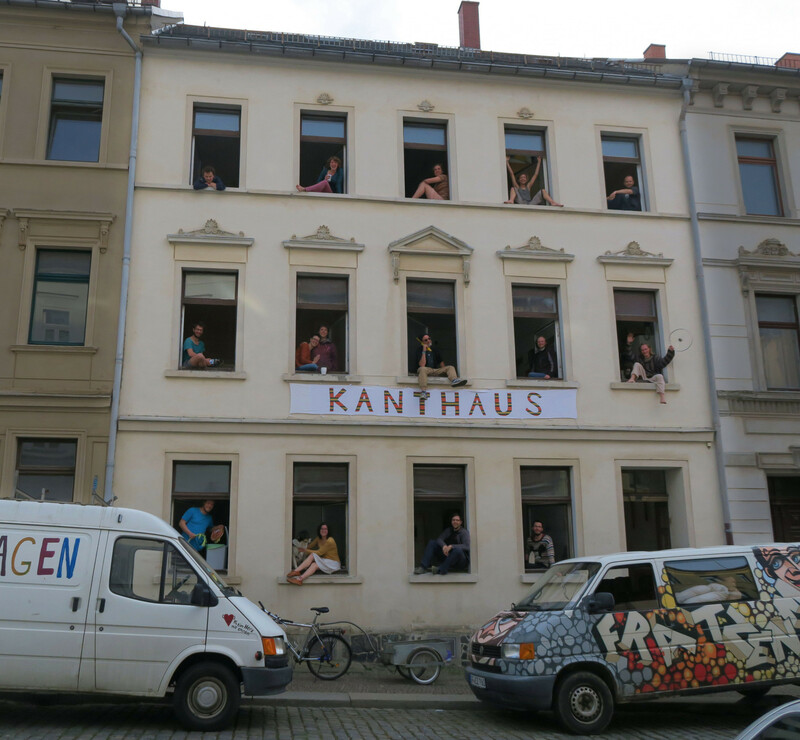 We got together to make what would become known as Kanthaus. Resources: All the work I make is free (CC0), so please save, copy, share, edit, etc, without further permission. Consultancy: as in, "let's chat and see if I have something useful to tell you." Feedback: is informative and motivating, both positive and negative aspects and questions. Money: ~€100/month would cover my basic costs, so even seemingly small donations are highly beneficial. Places to stay while travelling. News about cool governance stuff. N.B. me supporting you does not require you to support me.